Dr. Wentz, 35, had always been fascinated with the human body and always wanted to find the cure to a disease. That led her to pursue a degree in pharmacy. However, since 2000, Izabella had been experiencing strange and debilitating symptoms. Some of them included hair loss, weight gain, joint pain. “It seemed like my body was falling apart and getting worse year after year,” she says. When she was finally diagnosed with Hashimoto’s in 2009 at the age of 27, Dr. Wentz was relieved. “My interest was prompted by my own diagnosis,” says Dr. Wentz. At first, she was relieved to know there was a reason for her symptoms but was also discouraged because there were no other treatments other than taking thyroid hormones. “It felt like pouring more water into a leaky bucket.” Her logic told her to find a better way so she used the training she received as a pharmacist to find answers on her own. “I decided to take on overcoming Hashimoto’s as a personal life mission, the first step being to design my own protocol to heal myself.” Throughout the process, Dr. Wentz kept a detailed journal in which she noted her research and progress. 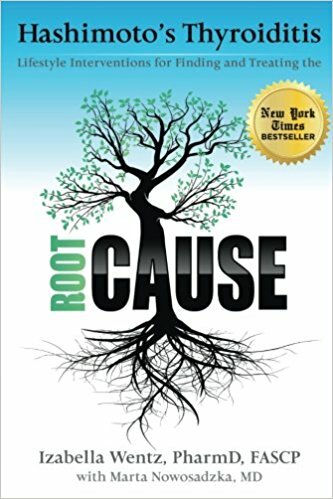 These notes became her first book: Hashimoto’s Thyroiditis. As she began providing consultations for people with the disease, Dr. Wentz began collecting over 500 success stories from readers, clients, and health care professionals who were able to see results from her recommendations! More than 35 million Americans currently suffer from Hashimoto’s – the fastest growing autoimmune disease. Seven women develop Hashimoto’s for every one man with the condition. The disorder occurs when the body’s immune system sees the body as a foreign invader and attacks it. That causes the thyroid to be ineffective and unable to produce the necessary hormones for the body. This is the largest cause of underactive thyroid. Some patients have the genetic predispositions if the disease runs in families. She says there are also triggers, like infections, nutrient deficiencies or emotional stress, and an impaired function of the gut wall that leak toxins into the body and cause Hashimoto’s. Dr. Wentz says if patients incorporate her protocol they can see relief in as little as one to two weeks -- even if they’ve suffered for years. She developed a 90-day plan, in the order in which it is given, which addresses the body’s supportive organs: liver, adrenal glands, and intestine (gut). Her Liver Support Protocol includes removing triggering foods (eating whole foods, eliminating gluten, dairy, sugar, and soy), adding supportive foods (eliminating processed foods, taking supplements like magnesium, etc., adding cruciferous vegetables), reducing toxic exposure (adding organic personal care/reverse osmosis water) and supporting detox pathways (drinking warm lemon water in the morning). The Adrenal Recovery Protocol teaches patients to support the stress hormones and embrace stress-reduction techniques that shifts body out of fight/flight mode, including getting more sleep, reducing emotional/mental stress, reducing inflammation and eliminating blood sugar imbalances. Her Gut Balance Protocol teaches patients to optimize gut health, renew bacterial and microbial balance to start healing within. “Intestinal permeability is a factor in every case of autoimmune disease, with Hashimoto’s of course being no different,” says Dr. Wentz. Research shows that every person with an autoimmune disease has some degree of leaky gut. Some factors that contribute to a leaky gut are food sensitivities, nutrient sensitivities, deficiencies in digestive enzymes, imbalance of gut bacteria and intestinal infections, etc. Some other reactive foods to avoid include eggs, grains and shellfish. Her plan includes supplementing with enzymes and balancing the gut flora. “It’s a challenge being a pharmacist where I was recommending taking medications,” says Dr. Wentz. “Medications don’t act to heal the root cause or get to the bottom of diseases, they merely block the way our body responds to the toxins that are present.” Many symptoms can be resolved by starting with proper nutrition and letting the body heal itself. THE DISCOVERY Dr. Wentz, 35, had always been fascinated with the human body and always wanted to find the cure to a disease. 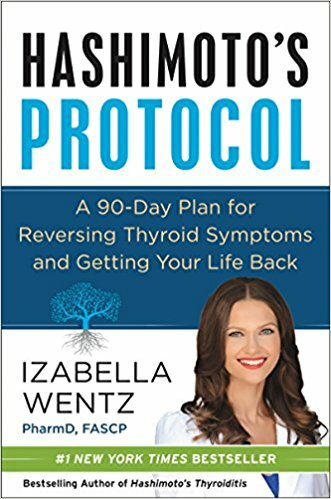 Instant #1 New York Times Bestseller Dr. Izabella Wentz, the author of the phenomenal New York Times bestseller Hashimoto’s Thyroiditis, returns with a long-awaited, groundbreaking prescription to reverse the symptoms of this serious autoimmune condition that is becoming one of the country’s fastest growing diseases. What’s Really Going on in Hashimoto’s? Hashimoto's is more than just hypothyroidism.